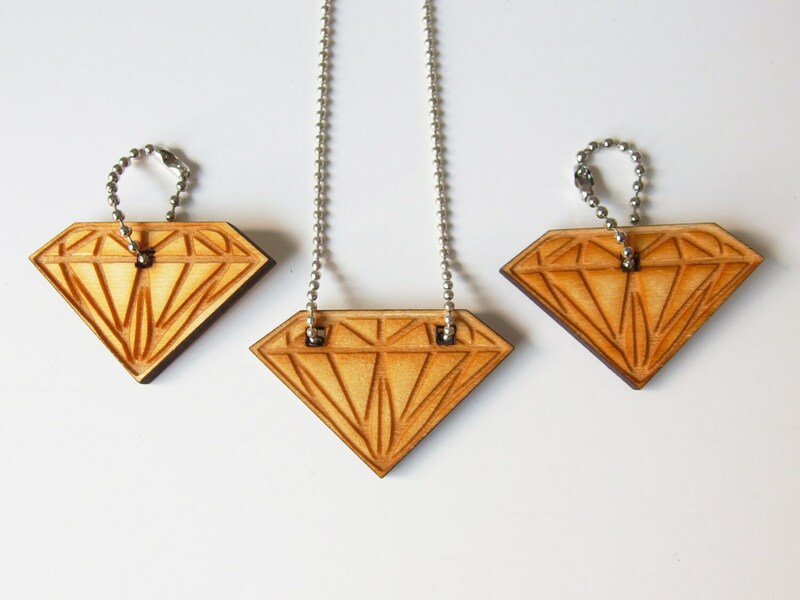 Diamond necklace made of triplex wood combined with a ballchain. I make the diamonds myself with a lasercutter. 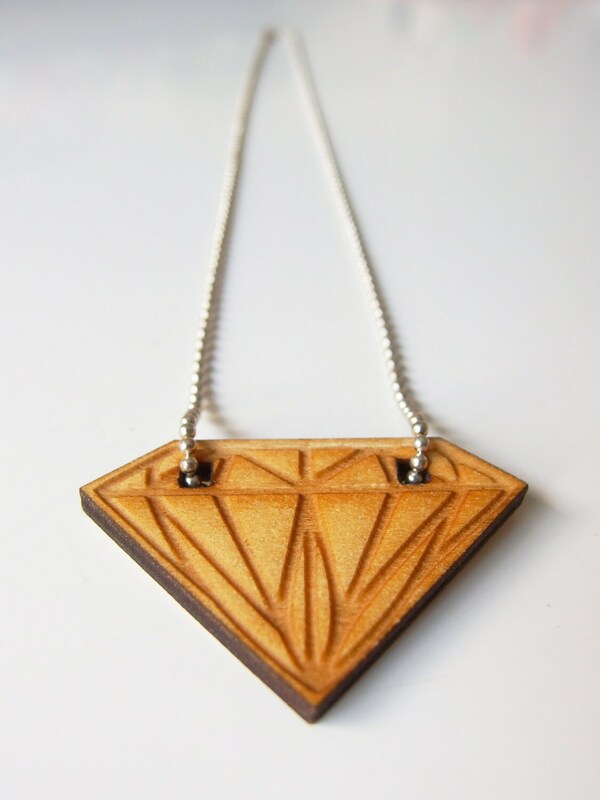 The lasercutting gives the edges a nice darker color and makes it possible to engrave the pattern into the wooden top of the pendant. 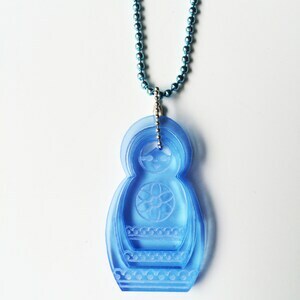 The diamond is also available in silver, red and blue acrylic, and the wooden diamond is also available as a keychain.